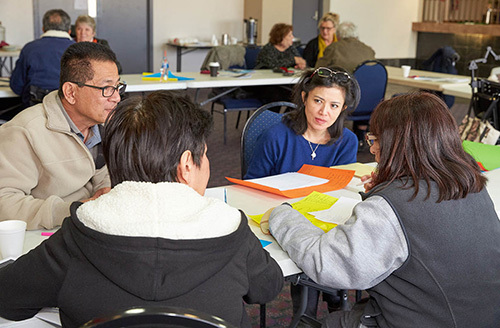 These free small group workshops are designed for people with disability who currently have an NDIS plan, or family or friends who support a person with an NDIS plan. The workshops assist people to better understand or make use of their NDIS plan, or to prepare for a plan review. NDIS Plans in Practice workshops are facilitated by people who have knowledge of the NDIS and extensive experience in the day-to-day management of an NDIS plan for people over seven years of age. You will be provided with information to assist you in having more choice and control over your daily life. All workshops are 9:30am to 2:30pm, and are held in fully accessible venues. If you know a small group of people in your area who would benefit from attending a Plans In Practice workshop, please contact us and we’ll look at planning a workshop in your area. For more information call the office on 1800 688 831, email us at admin@pdcnsw.org.au or use our contact form. Read what others are saying about NDIS Plans in Practice!